Bizarro is one of my favorite blends. 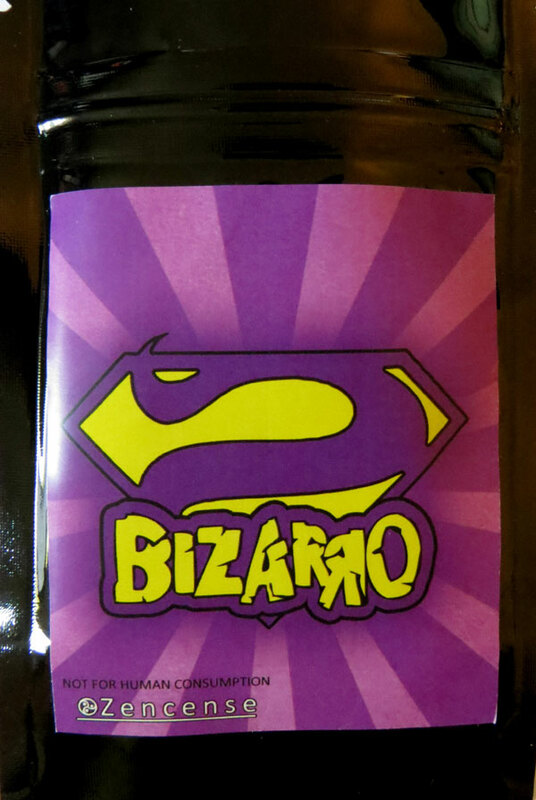 Although it does not carry some of the heavy hitting aromatic potency of its brethren, Bizarro’s unique aroma deserves praise in its own right. From my experience burning this blend is more of a gentle spring, than a rushing waterfall. The aromatic suggestions began to dance around in my mind only seconds after the initial light of the incense in my burner. I felt compelled to relax and watch cartoons. This is not to say that the blend suggested a “do nothing” attitude, rather that is how I decided to drink from this spring. I could have just as easily done housework, or caught up on some reading. Bizarro is a blend that is conducive for relaxation and can be lit in the early hours without fear of being unable to function at an acceptable level. I do however suggest you keep it in the realm of an at-home aromatherapy session. Prepare before-hand with snacks and beverages so you are able to stay home and stay put and truly enjoy this blends wonderful addition to your daily rotation.